My name is Michael Robert, born and raised in the Midwest (Wisconsin). My wife and I moved to beautiful Arizona back in 2016. 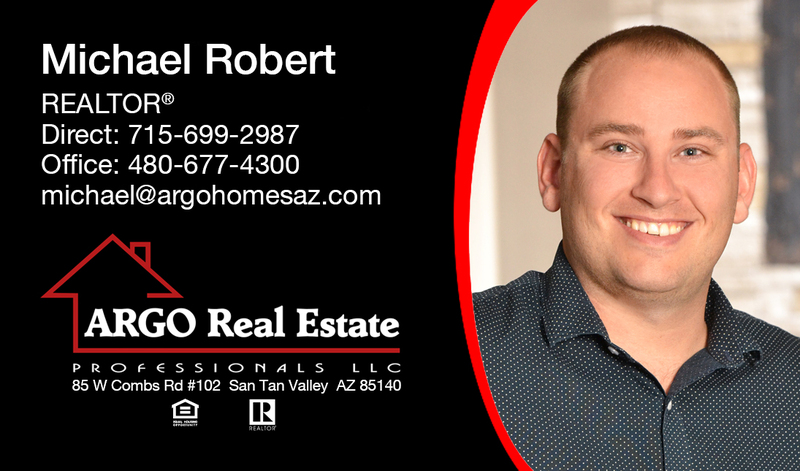 I served 6 years in the US Army, and now I'm here to serve you in all of your Real Estate needs. I am eager to find you the perfect home and sell your property for top dollar. I am a dedicated individual who will go the extra mile for you, and help you through the process of one of your largest investments. Contact me if you are thinking about buying/selling your home and let's get started!